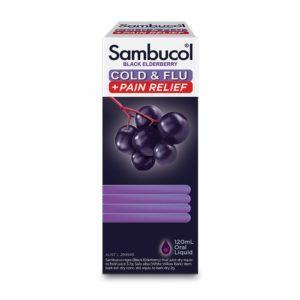 WHAT IS SAMBUCOL COLD & FLU + PAIN RELIEF FOR? 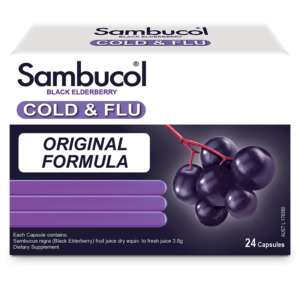 Sambucol’s Cold & Flu + PAIN RELIEF is formulated to provide relief from the pain^ during cold and flu-like symptoms. 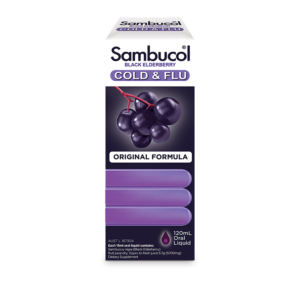 The night formulation contains California Poppy, which has been traditionally used in Western herbal medicines to aid sleep and relieve agitation during cold and flu-like illnesses. Salix alba stem bark (White Willow Bark) ext. dry conc. 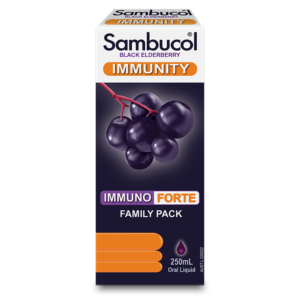 Adults only DAY CAPSULE: Take 2 capsules 3 times a day. 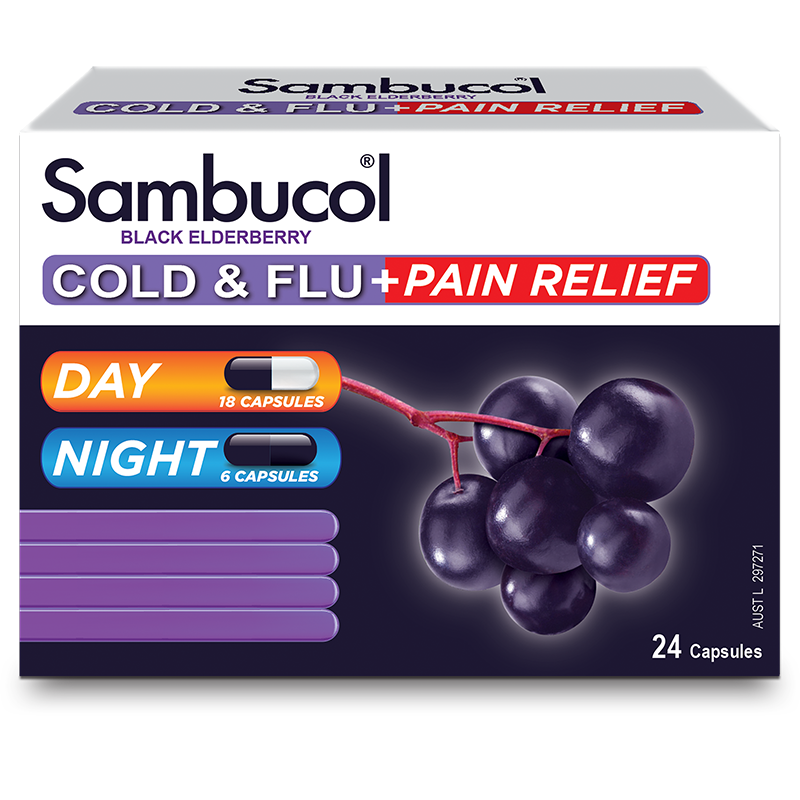 Adults only NIGHT CAPSULE: Take 2 capsules before bed. An extra dose may be taken if needed. If symptoms persist talk to your healthcare professional. Adults only. Seek medical advice before using during pregnancy or breast feeding. Night-time formula may cause drowsiness, do not operate machinery if affected.